Please add Liturgy of the hours! I have a physical subscription, and greatly enjoy the quality and feel of them! It such a soft and gentle little book, it feels really nice in the hands, so thank you!! 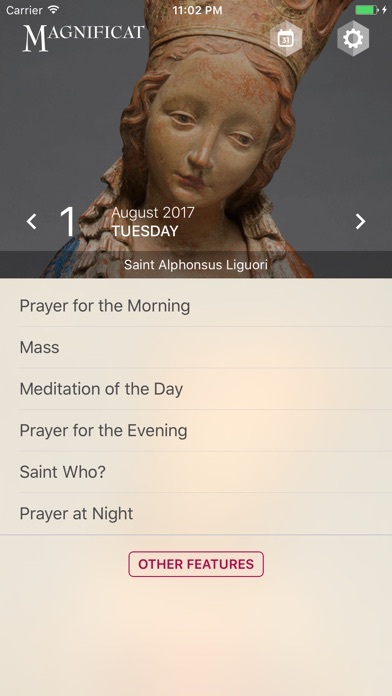 I downloaded the app hoping it might also include the Liturgy of the Hours, I was sad it did not, the app is so nicely laid out it would be beautiful if we could also have the liturgy as a bonus, any plans of doing this? Thank you again! I’m always able to find inspiration for the day even if I can only read for a few minutes. I especially love the Saint of the day and the Mass readings. There is a lot more material if I want to go deeper. If your serious about getting closer to god, don’t have time to read the the Bible, going through a loss or family member in need this is the king of all religious apps that will strengthen your bond with god, grow your knowledge and fill your heart mind and soul with all the things it needs. At first I used it to say prayers at meal times then began to explore all the other menu items and now especially fond of the hymns. It will not disappoint with plenty to explore for whatever situation your in right now. Peace everlasting my brothers and sisters. Single copy purchase only works on ONE device. Frustration IOS 12.1.4 ... DO NOT KNOW WHO TO APPEAL TO NEXT. Frustration ... DO NOT KNOW WHO TO APPEAL TO NEXT. Contact to TECH SUPPORT is not available and CUSTOMER SUPPORT has no idea who/where/ ... CUSTOMER SUPPORT is unable to provide any help. 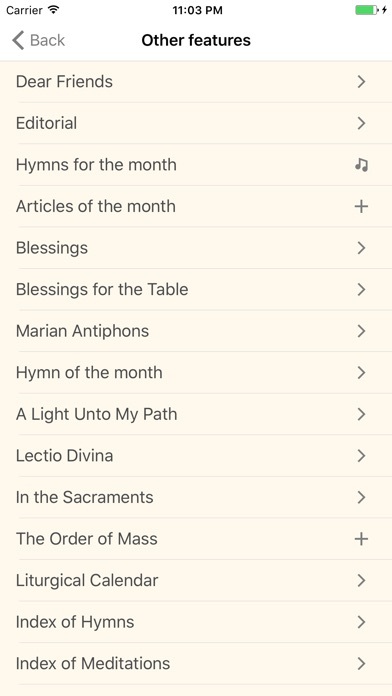 App needs to be updated for IOS 12.1.4 otherwise selected features [esp Lectio Divina]. The Lectio Divina is only available for the first Sunday of each month. 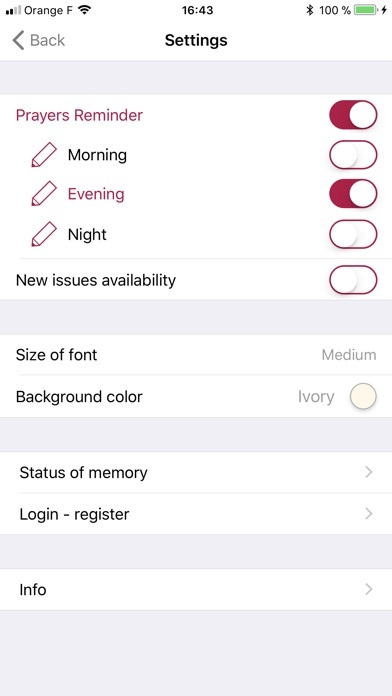 Selecting LD from ‘OTHER FEATURES’ only shows you the LD for the first Sunday of that month. I called CUSTOMER SUPPORT and they supposedly do not have TECH SUPPORT. Up the creek without a paddle. Prior to 12.1.4 the MAGNIFICAT features [esp LD] worked. Per APPLE: after hours of research it was noted that the last version did not include IOS 12.1.4. It took a little time to learn to navigate all the features. But I absolutely love this app. I have the English version and my wife the Spanish version. It has everything the printed version has plus a few more such as audio files of the daily hymns. One of the best apps I have ever had. Excellent version of Magnificat for the iPhone. Lets you see all the artwork and features of the printed version. I have long wished for this for business trips since I must leave our printed copy at home for the family. I really appreciate the variable font size, very helpful for those with reading difficulty or eyesight issues.